Summer Fest takes place along the scenic Windsor riverfront. 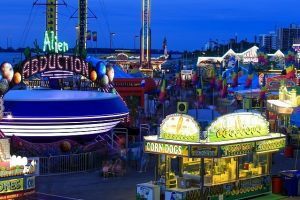 This festival is a perennial favourite for the entire family, offering something for all ages, and stages including a carnival, music and fireworks. Day by day schedule can be found here.